This would make the perfect holiday gift for someone you love! 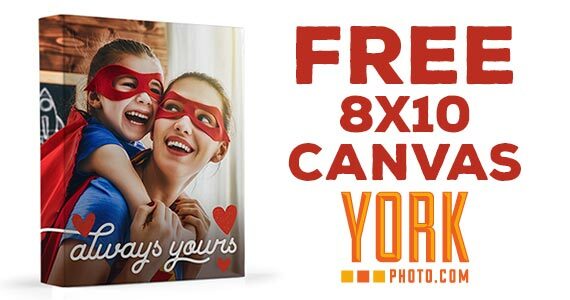 Right now from York Photo, get an 8 x 10 canvas (regularly $34.99) for free with the online promo code: HOL8X10, just pay shipping! Do you love to take photos? Do you have the desire to capture life’s moments and keep them forever? Take a photo and customize your 8 x 10 any way you like with any message.